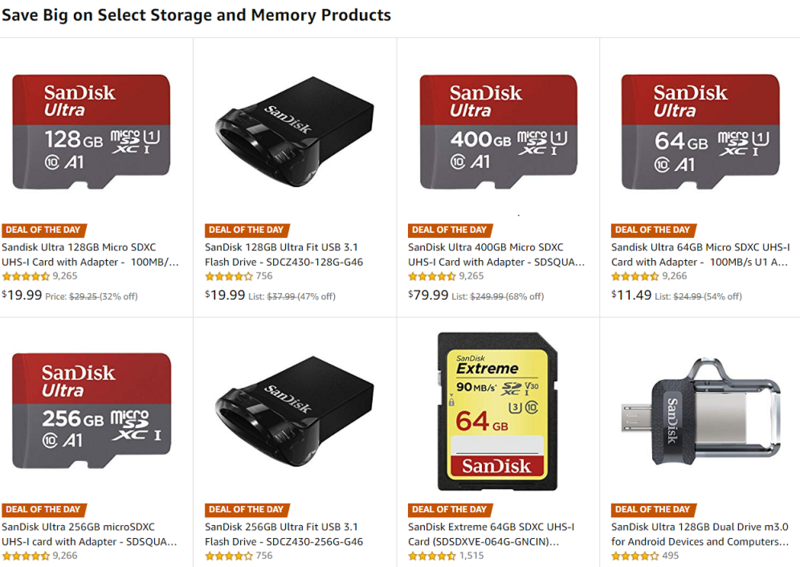 Amazon US has a super hot one day Black Friday sale on SanDisk memory cards and you can get up to 30% off on Sony SF-G UHS-II SD Cards. Up to 30% off on Sony SF-G UHS-II SD Cards at Amazon, B&H, Adorama. Up to 68% off on SanDisk memory products. SanDisk Extreme 128GB SDXC UHS-I Memory Card: $29.99 at Amazon. SanDisk Extreme 64GB SDXC UHS-I Memory Card: $17.99 at Amazon. SanDisk Extreme 32GB SDHC UHS-I Memory Card: $10.99 at Amazon.